the FARMER'S wife: farm baby #3 is a…. Can you tell that I am seriously surprised!? Like, it is still setting in. I was so sure that I was having a girl. And so were 77% of you! That little poll in the upper right hand corner of this blog was in favor of a little miss. ALL of the wives tales pointed to girl. Moral of the story… all of those are a bunch of crap. I have never been more surprised. AND, I am super duper happy. 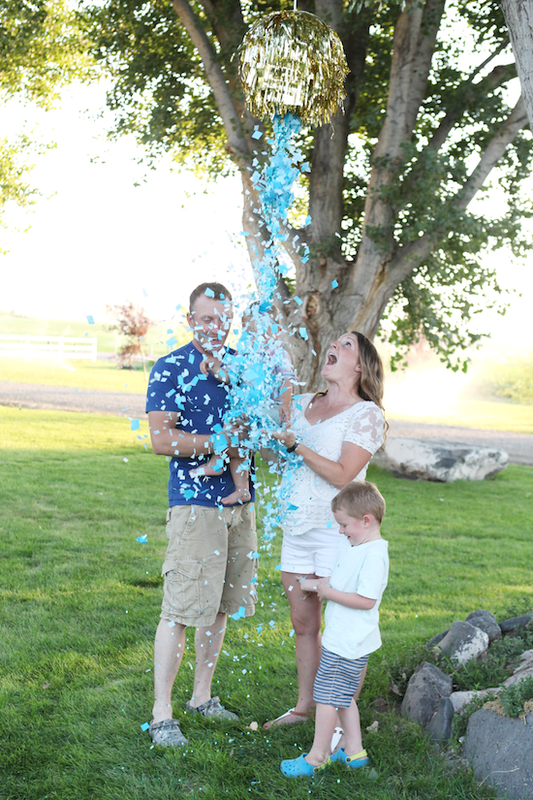 I will be posting more pictures of the gender reveal party soon. Cheers to a great week! I could just see you being a boy mommy x3! Congratulations!!! Congratulations!!! You are going to be a pro at being a boy mommy! That's a great idea. Who loaded up the blue confetti? Congratulations! How fun to have a little trio of farmer dudes running around! They are going to have such a wonderful bond growing up! I also LOVE that pinata and the confetti! AWWW! I love these pictures!!! and yalls expressions!! Cool reveal idea! It'll be a handful to deal with three boys, but you'll make it work. Congratulations 3 boys so happy for you! I voted girl and genuinely thought you would end up having a little miss. You look so surprised! Boy mommy times three! How exciting! Congrats!!! How exciting, I love these pictures! 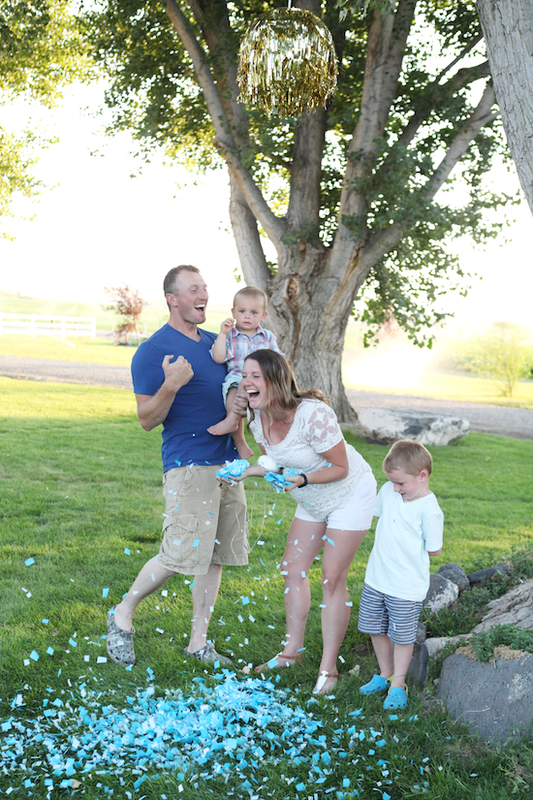 My husband is one of three boys, and I always tell his mama there is a special place in heaven for moms of 3 boys! What ufun you will have! Love your reaction!! 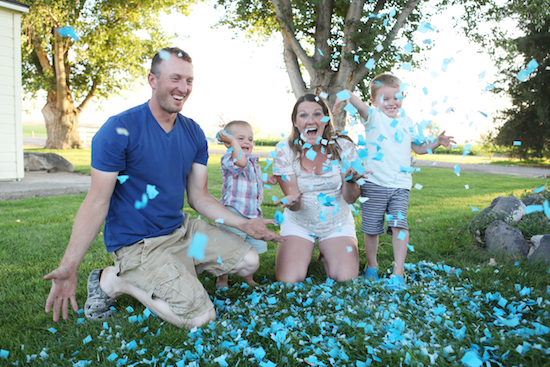 Congratulations on another sweet baby BOY! The party is adorable! 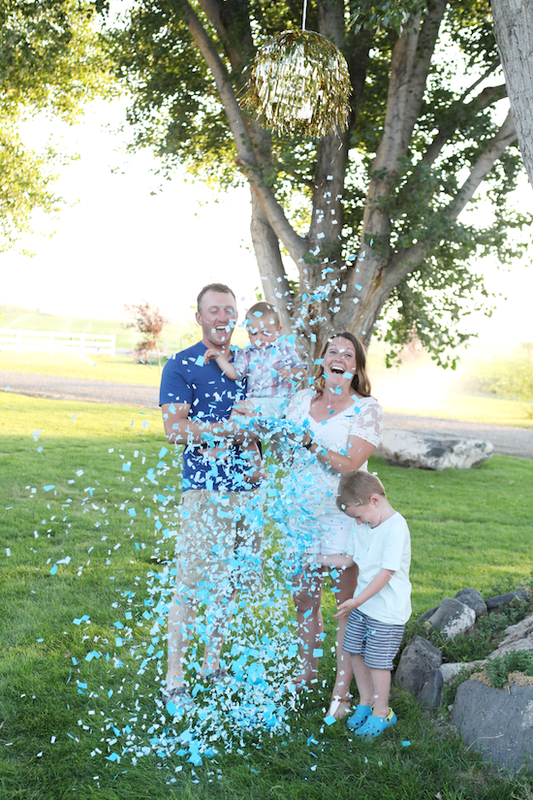 Congratulations on your sweet boy on the way. They are going to be the best of friends and as you know, everyone says that boys just LOVE their mommas. Lots of love for you! Awe, congrats! How exciting. You look so surprised lol, love it!